Stefania Berton and Ondrej Hotarek of Italy perform during the pairs short program at the ISU World Figure Skating Championships in Nice. 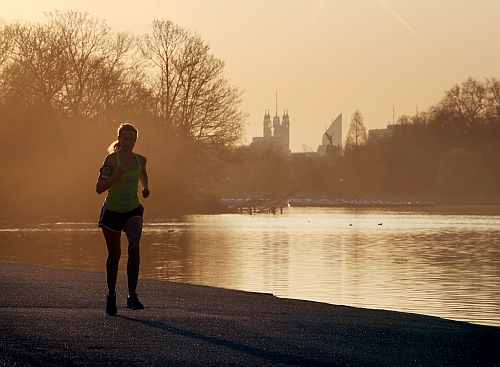 A jogger runs along a path next to the Serpentine lake at first light in Hyde Park on March 28, 2012 in London, England. Shannon Brown No. 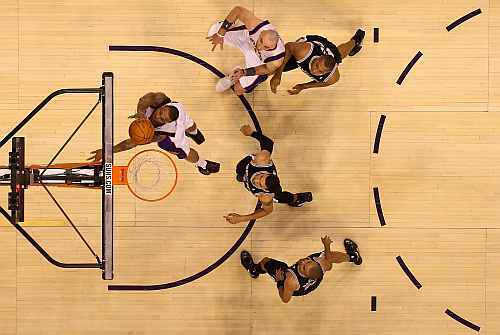 26 of the Phoenix Suns lays up a shot against the San Antonio Spurs during the NBA game at US Airways Center. 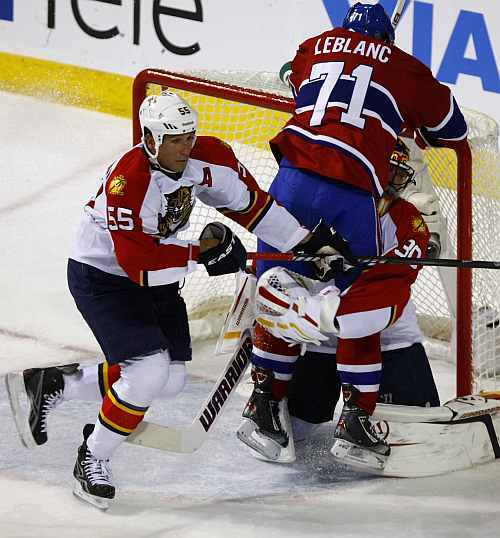 Montreal Canadiens' Louis Leblanc crashes into Panthers goaltender Scott Clemmensen (30) but the puck stays out during second period of NHL hockey action in Montreal. A message for Didier Drogba of Chelsea is displayed during the UEFA Champions League Quarter Final first leg match between Benfica and Chelsea at Estadio da Luz.